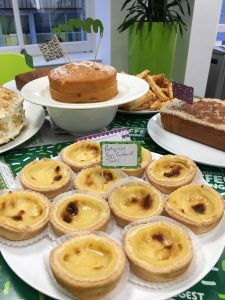 FSL hosted its very first Macmillan Coffee Morning on Thursday 27th September 2018. 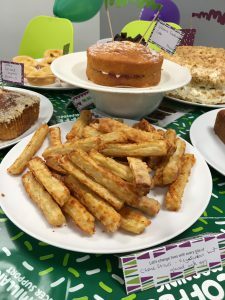 It was the perfect excuse for all of our employees to get their baking gloves on, make a cuppa and enjoy a slice of something delicious for a magnificent cause. 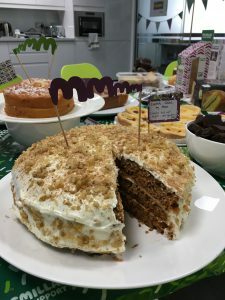 The World’s Biggest Coffee Morning is Macmillan’s biggest fundraising event. One in two of us will face cancer, and the money raised will help everyone with cancer to live life as fully as they can. Last year alone Macmillan Cancer Support managed to raise over £27 million. Here at FSL, our employees proudly transformed our office into a patisserie and we held a few competitions to get everyone in the spirit. One of which was a fiercely competitive Bake-Off. 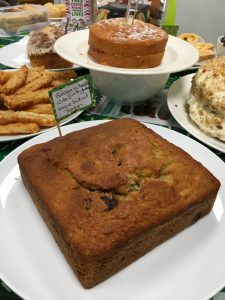 It came down to just three scrumptious bakes; Tracy’s Cheese Sticks, Zuzana’s Carrot Cake & Michael’s Lemon Drizzle Loaf. In the end, Zuzana’s delectable Carrot Cake fought off the two and won the all-important Star-Baker prize. Over the course of the day, FSL employees successfully managed to raise an impressive £288.20. To maximise the fundraising efforts, FSL charitably matched the total amount raised to bring the final total up to £576.40! A huge ‘Well Done & Thank You’ to everyone who participated and generously donated to the wonderful cause. We look forward to making this annual event a regular occurrence at FSL.